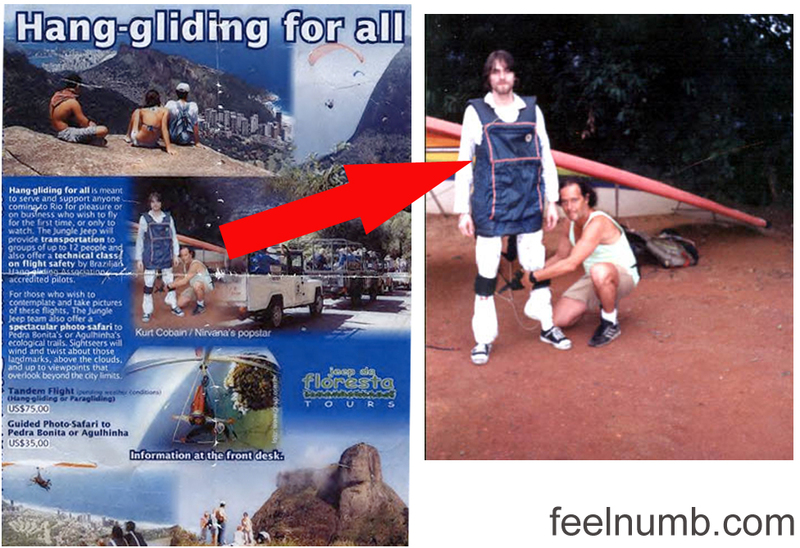 Nirvana played the “Hollywood Rock Festival” in São Paulo (January 16, 1993) and Rio de Janeiro (January 23, 1993) Brazil. 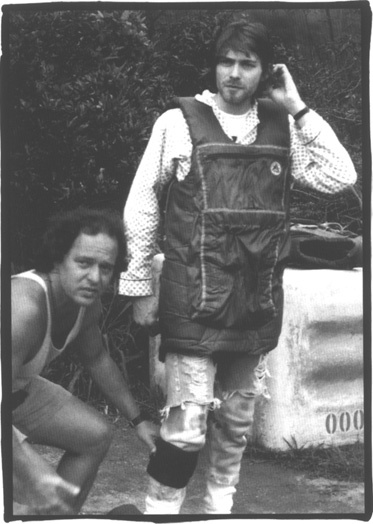 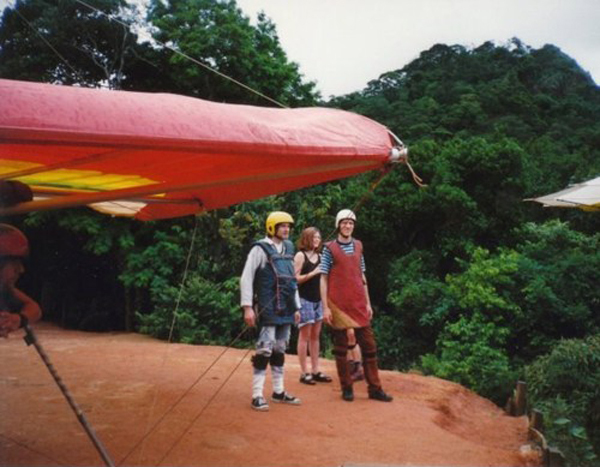 The band had plenty of time for extra curricular activities on this trip including booking a recording sessions, doing some sight seeing and Kurt Cobain even got in some hang gliding on January 18 in Rio de Janeiro. 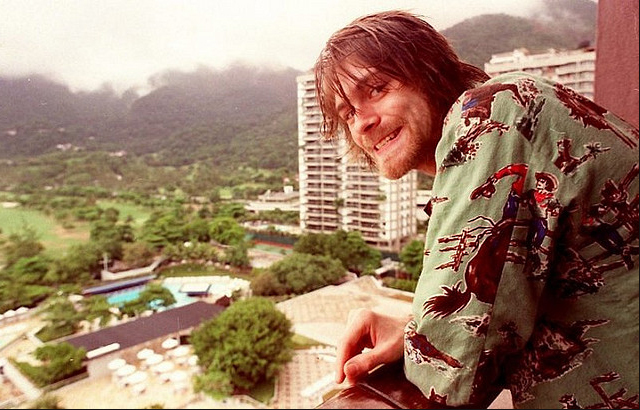 At least Kurt got out and had some fun in Brazil, as this wasn’t the best of times in his addiction as you can see in this photo below on the balcony of the Hotel Intercontinental in Brazil.